I have invested in a roll bag which I tried out on tour all round Spain this July. I thought I would give a short review for those of you that are thinking of purchasing one. Ok so I really like the Ventura luggage I already have but the largest bag is only 50 litres in volume and I had to invest in another one to increase that much needed storage space. Besides which the opening into the big one measures only 250mmx200mm approximately. 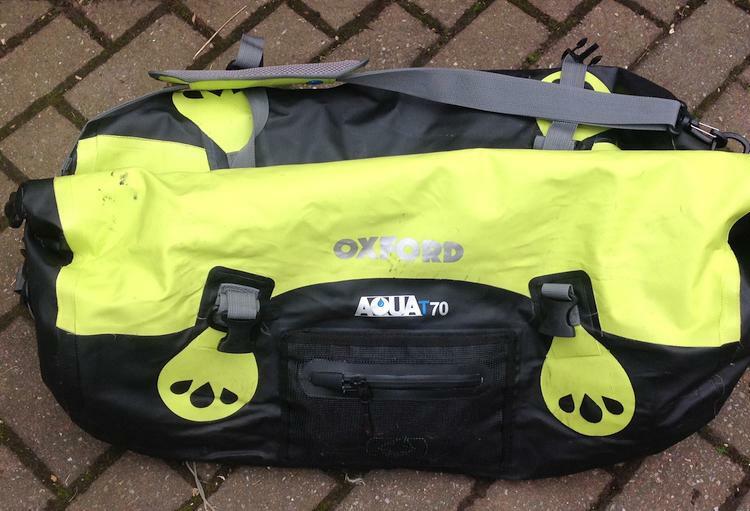 Right then this roll bag is an Oxford Aqua T70 (70 litres) and is made of nice thick durable polythene impregnated fabric, it is 100% waterproof and is massive inside. The exterior has some hi viz which I like because it helps you to be noticed by car drivers. 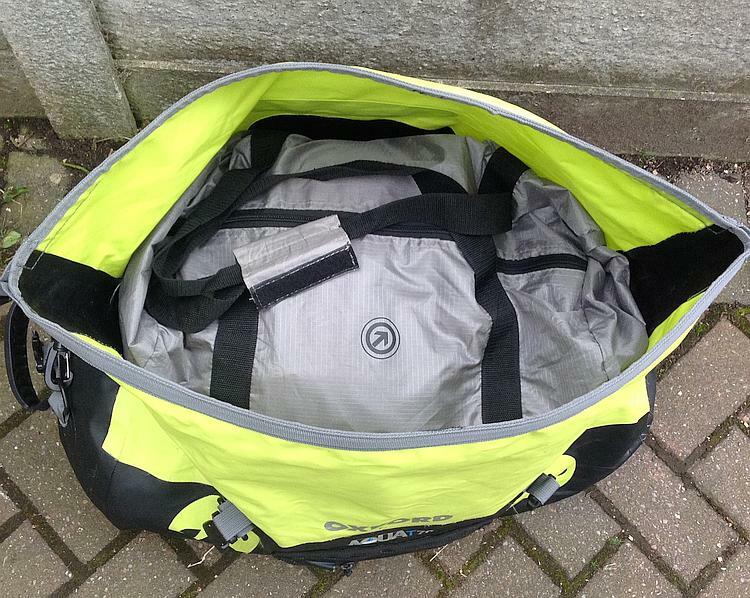 The main feature of this bag is the huge access to get everything in and out easily. In the picture below you can see everything I put in there. 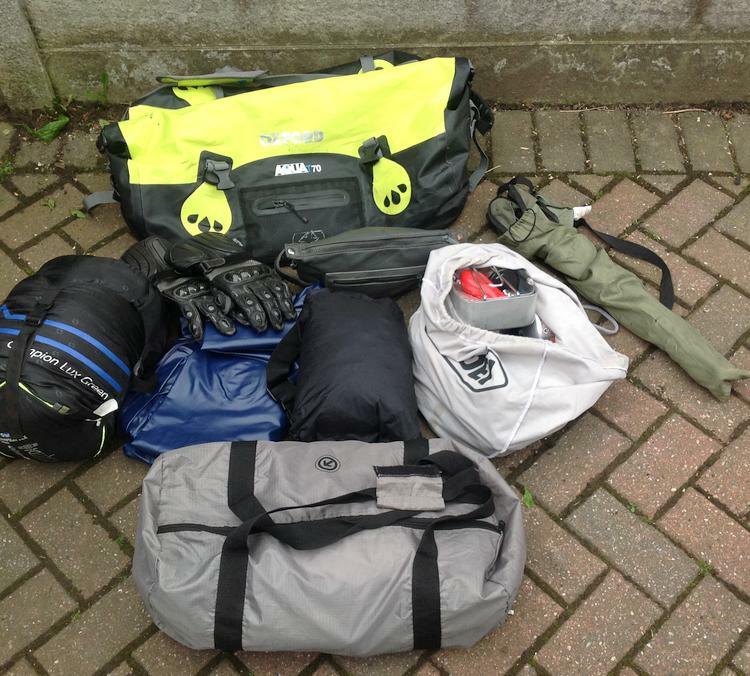 Waterproofs, sleeping bag, blow up mattress and pillow, all my camping equipment including two gas canisters, cooker, mess tins, knife, fork, spoon, igniter, pump for mattress, gaffer tape and cable ties etc. I also have all my 12 volt chargers etc. 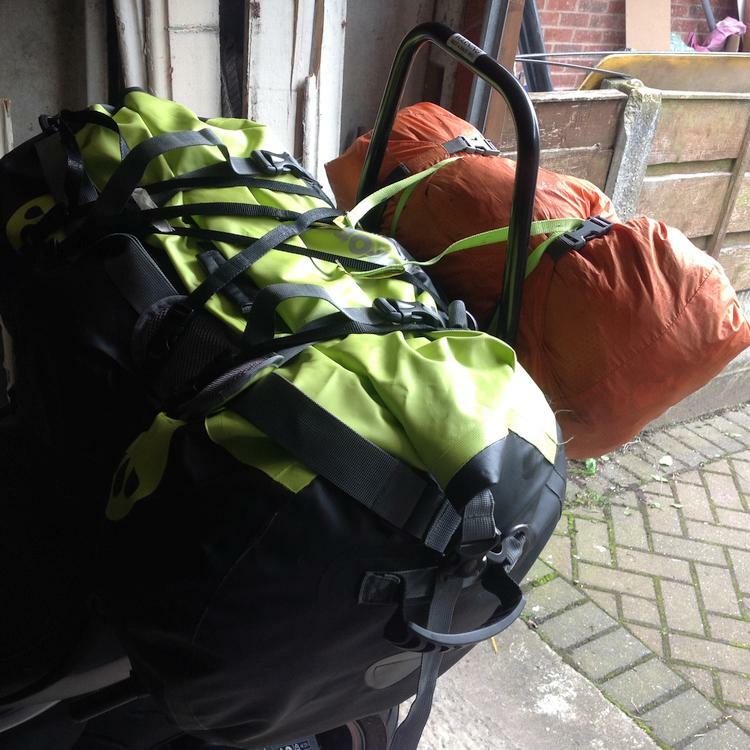 I also store my camp chair in there, spare gloves, towel and washing/shaving kit. In the grey hold-all are all my clean clothes and sandals, I pack for 5 days and wash stuff when I need to. Yes it all fits easily in one compartment. In the the pic you can see the large access hole and everything packed inside. I can certainly recommend this bag, being so versatile and relatively cheap at £50 compared to the hundreds that I spent on Ventura bags.